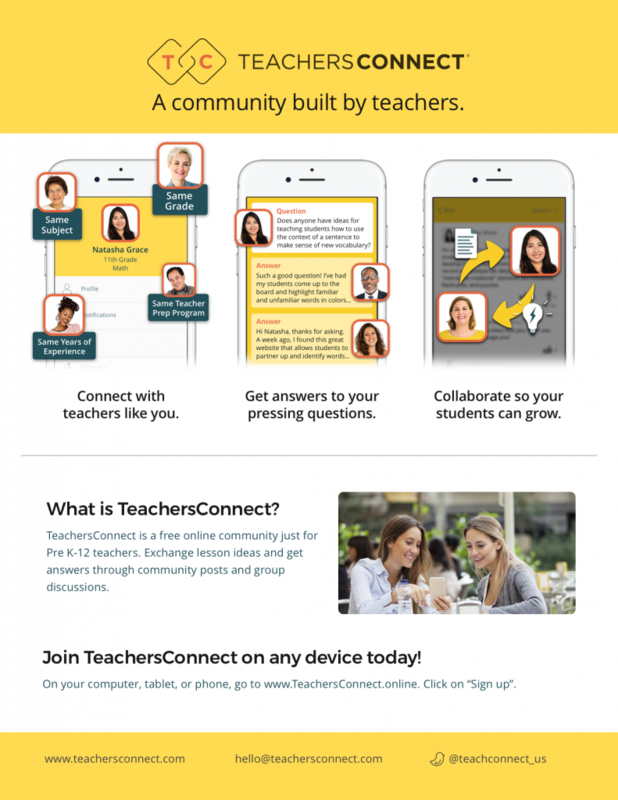 Share TeachersConnect with other Teachers. The more teachers that join our free community, the more knowledgeable it becomes. Feel free to share the materials below in your blog, on social media, or in your school to invite other teachers to join the community. Contact us to request more materials. We’re happy to provide more materials or to answer questions. Contact us.